Channel Section Length 48" 48"
McNICHOLS POLYCAST® Presloped Trench Drain Systems are designed for indoor and outdoor residential, commercial, and industrial applications. 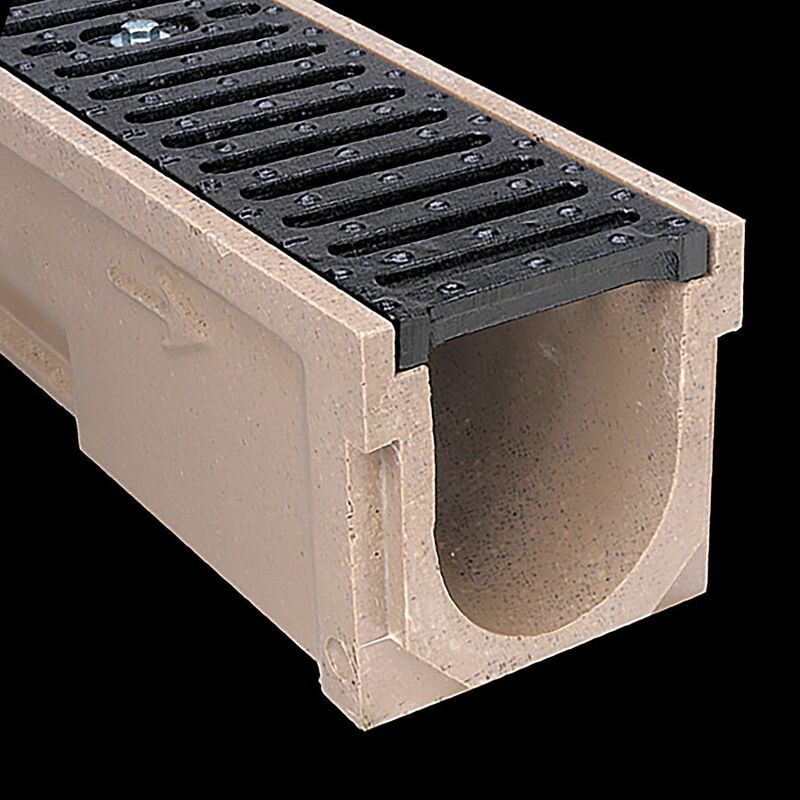 POLYCAST® Trench Drain channels are made of a stronger-than-concrete precast polyester polymer concrete composite and are set in place prior to a slab pour. Our Systems are easy to install, durable, resistant to many chemicals, and ideal for environments with extreme temperatures. The system is capped off with lockable, yet removable slotted surface grates. View McNICHOLS® Trench Drain Resources below!